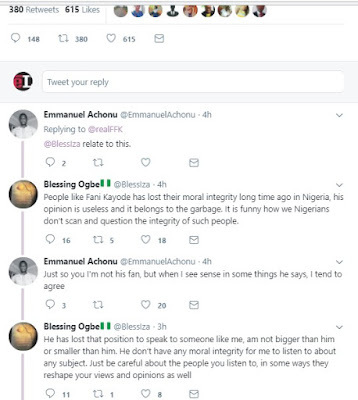 The controversy surrounding the Nigeria Bar Association and the Unilorin student who was denied a call to Nigeria Bar has been generating controversy since two days now. 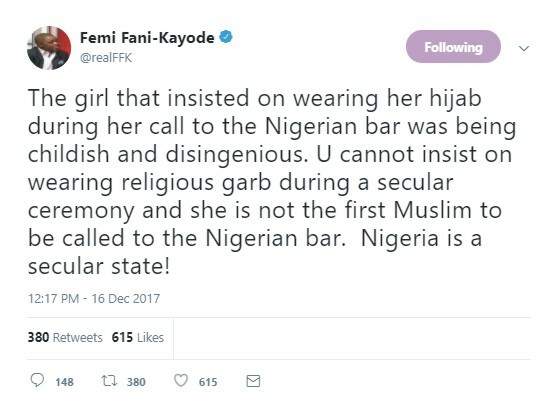 Even the President of Nigeria Bar Association have waded into the controversy as promised that everything will be resolved as soon as possible. 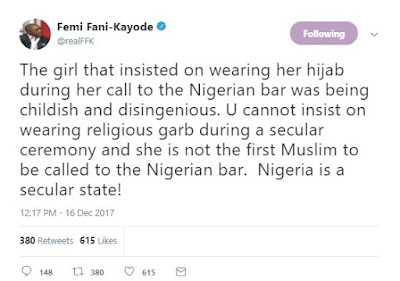 The former Aviation Minister Chief Femi Fani-Kayode (SAN) has blamed the student in question Amasa Firdaus, who was denied ‘call to bar’ by officials of the Council of Legal Education (CLE) for failing to remove her veil, otherwise known as hijab. 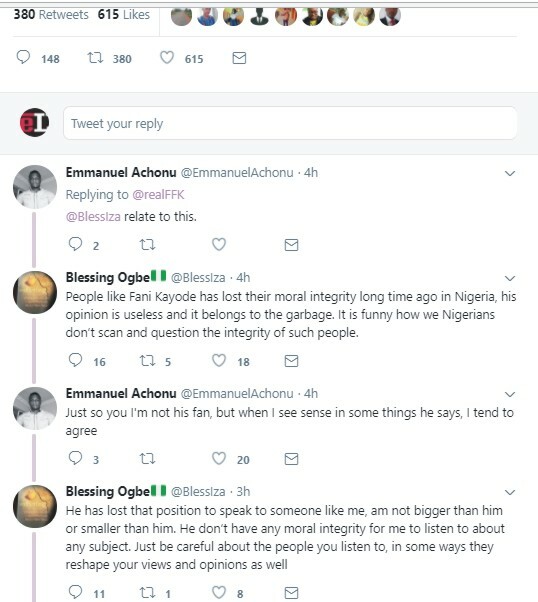 See his post below and people's reactions.